Rabbits aren’t naturally used to handling as they’re a prey species — in the wild, they’d typically only be picked up as food for a predator. So acclimatise them to human touch by rewarding them on each occasion through hand feeding. This will prepare them for being handled gently during grooming and examinations. According to the Rabbit Welfare Association and Fund (RWAF), several scientific studies support the fact that passive smoking can be as deadly for house rabbits as it is for humans. So if you’re partial to a puff, step outside where the smoke produced is kept well away from your animals. Rabbits shed every three months and they like to be clean and tidy. They’ll lick themselves like cats during grooming, but they can’t vomit like their feline friends and the resultant hairballs block their stomach exits. Reduce this risk with weekly brushing. Rabbits need to run, jump and stretch their muscles and shouldn’t be kept alone. Many veterinary professionals and pet associations recommend neutering, as sadly there’s a surplus of unwanted rabbits who need rehomed. The choice is yours, but males can be castrated from three months and females can be spayed from four. For females, there are also major health benefits as they are prone to female cancers. If you need advice about family planning and unexpected litters, contact us. Rabbits enjoy fresh, washed lettuce — but that’s just the tip of the iceberg. A balanced diet is essential to maintain their special teeth and digestive systems. High quality hay or grass constitutes the majority of their intake and this can be supplemented by small amounts of root veggies like carrots. Also, avoid muesli-type foods, be strict with optimum feeding quantities and provide a continuous supply of clean drinking water. Like any pets, rabbits are prone to certain diseases — some of which can be deadly. Myxomatosis and Viral haemorrhagic disease (VHD) are two of the most common, but they can be protected against through vet vaccines. So talk to us about preventative healthcare for your rabbit — we’re delighted to help. 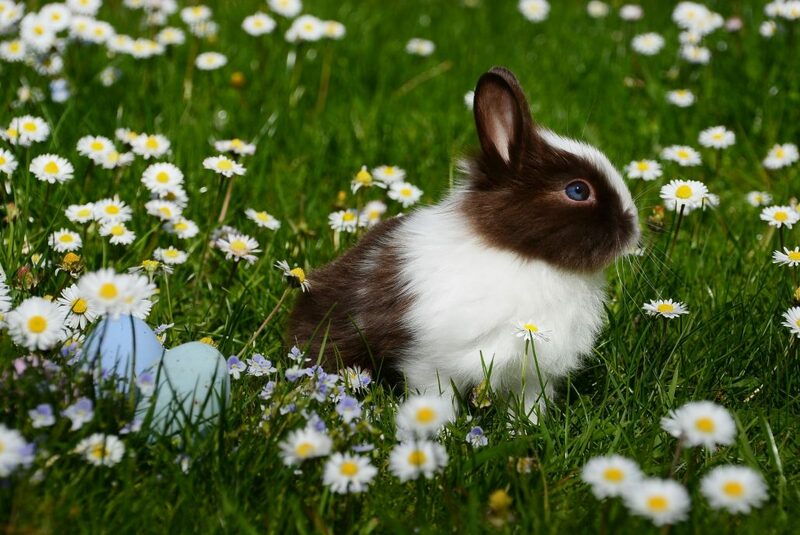 We’ll help you enhance your rabbit health regime as your pet progresses, but these seven starter tips should put a spring in their step. If anything else bugs you about bunnies, call us for a chat on 01506 437096.